I don’t know If I’ve been sleeping or if this young man has not been active in Western Music but I didn’t know about him until I received this CD…but I really like it! When the note in the album liner reads, “This album paints the picture of the ideals of the western life – how things are, how things used to be and how they can be again. This old world keeps changing, but treating people the way that you want to be treated just makes sense. Strive to work hard, love your neighbor and your family, have honor and live with respect and integrity, protect your reputation and above – have faith. It’s the cowboy way. – Greg.” This seems like the real deal. And it is! Greg voice is strong and clear…and so is Hannah’s (Greg’s wife)! The words tell a story and have a true meaning. The musicians are great and so is the production! The musicians are Michael Baker (lead, acoustic, baritone and gut-string guitar); Mike Dunbar (bass guitar); Ed Glass (percussion); Dave Signs (keyboard, harmony vocals); David Russell (fiddle and Mandolin)’ and John Heinrich (dobro and pedal steel guitar and flute.) 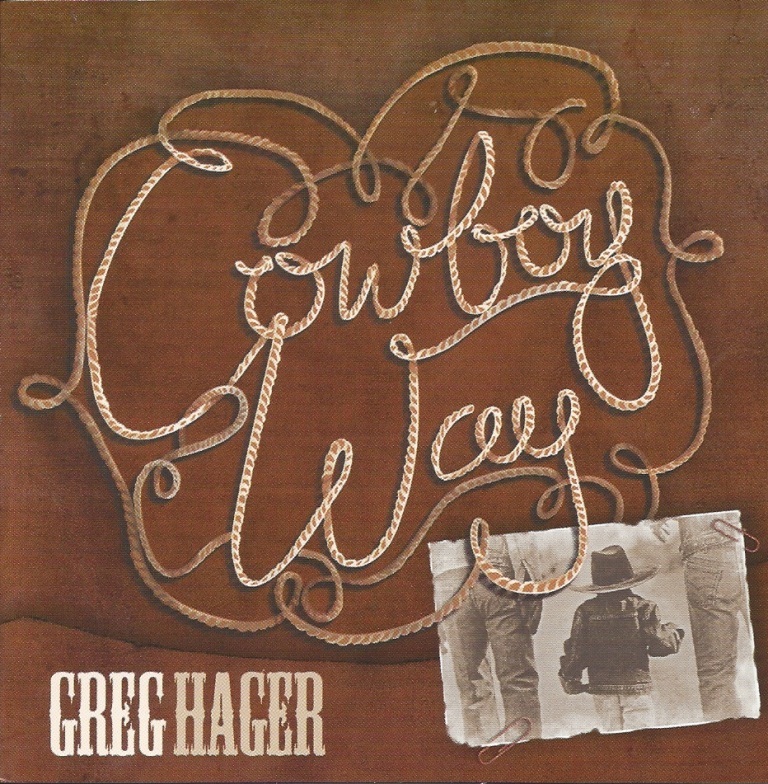 All the words and music are by Greg Hager. For more information go to http://greghager.com. You will want to add this CD to your library!